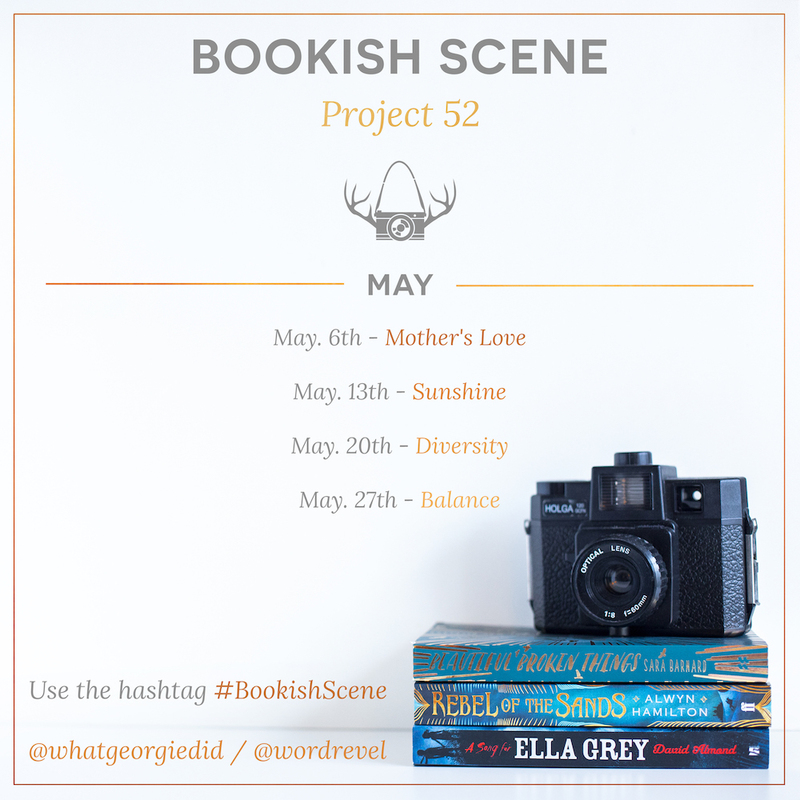 This week’s Bookish Scene: Project 52 theme is „Diversity“ and I have to admit that usually this is not an aspect that does really influence my choice of books because I’m a very story-driven driven reader and it doesn’t really matter to me if the characters are male, female, transgender, old, young, black, white, handicapped or whatever as long as the plot manages to fascinate me. I actually find it a bit sad that diversity even has to be a topic in the first place because I think it should be natural and not something that needs to be specifically mentioned. Another reason for why I think that diversity is not such a big thing for me when it comes to books is maybe my preferred genre because I have the impression that mostly (young adult) contemporary readers are longing for diversity which I can absolutely understand because especially for young readers that feel „different“ it’s important that they can relate to characters that struggle with the same problems, prejudices etc, but in crime fiction this doesn’t seem to be such an important aspect and I’ve never seen someone say something like „Oh I really hope the MC in this thriller is a black, gay and handicapped cop because that’s what crime fiction needs and those groups aren’t represented enough“. You’re right that it’s sad diversity even has to be a topic, but we’re not even close to the point where it can just be assumed. =/ I rarely enjoy „issue books“—the ones where the entire point is diversity—but I do like when books achieve diversity naturally. (Like Simon vs. ;P) It’s always really obvious when diversity is forced, and I think it can alienate readers and make books unpleasant to read. I definitely think the lack of diversity in books is more noticeable to people who primarily read for the characters, rather than for the action. It gets boring to read about the same basic character over and over again. And like you said, YA readers are more likely to be looking for characters they can relate to. Haha, it was difficult NOT to spot the bright pink book on my TBR and „Welcome to Night Vale“ was standing almost next to it, so that the purple/pink part wasn’t really a problem. I definitely struggled with the yellow spine because „A Casual Vacancy“ was the only one I could find (Yes, I’ve already read it and found it super boring, I’m glad JKR switched to crime fiction^^). And why you probably won’t like the rest of Schwab’s books, haha.